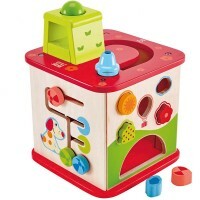 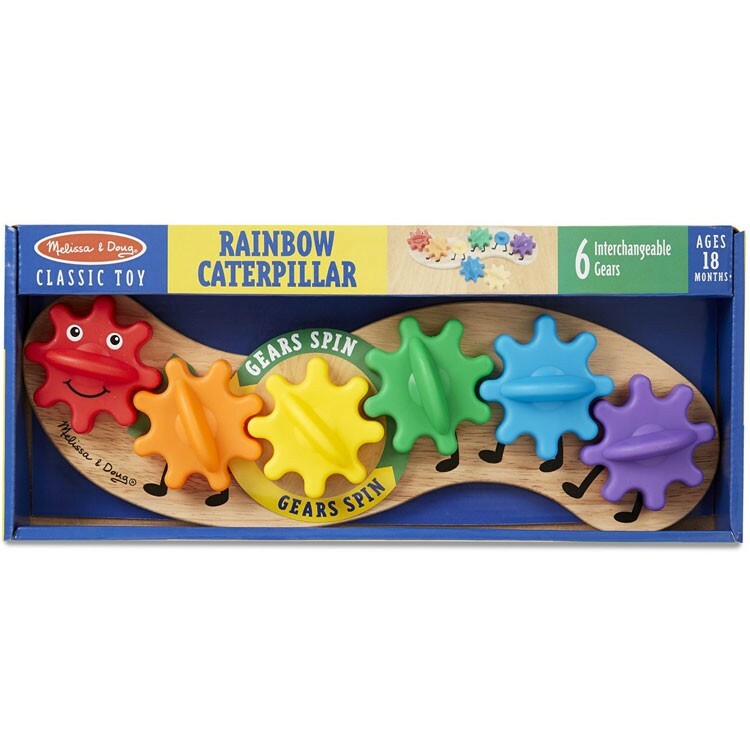 The Caterpillar Gear Toddler Activity Toy combines 3 developmental activities in one simple toy: color learning toy, building gears set, and engaging manipulative activity toy for toddlers. 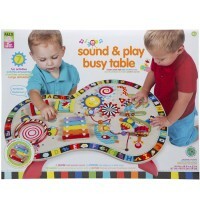 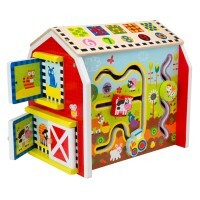 Melissa & Doug is famous for creating classic and multifunctional toddler toys. 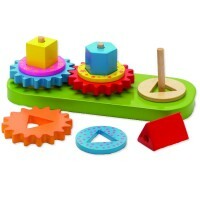 The Caterpillar Gear Toddler Activity Toy combines 3 developmental activities in one simple toy: color learning toy, building gears set, and engaging manipulative activity toy for toddlers. 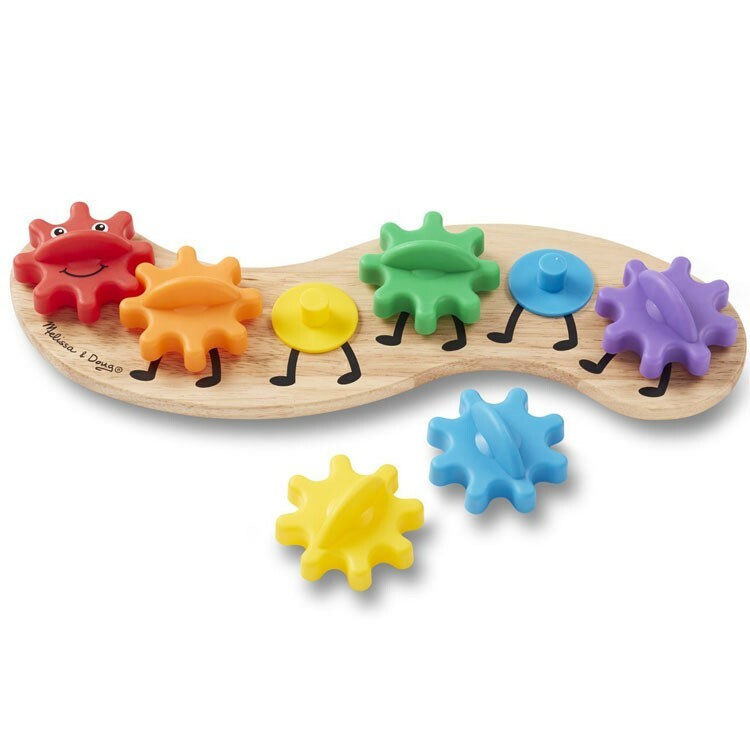 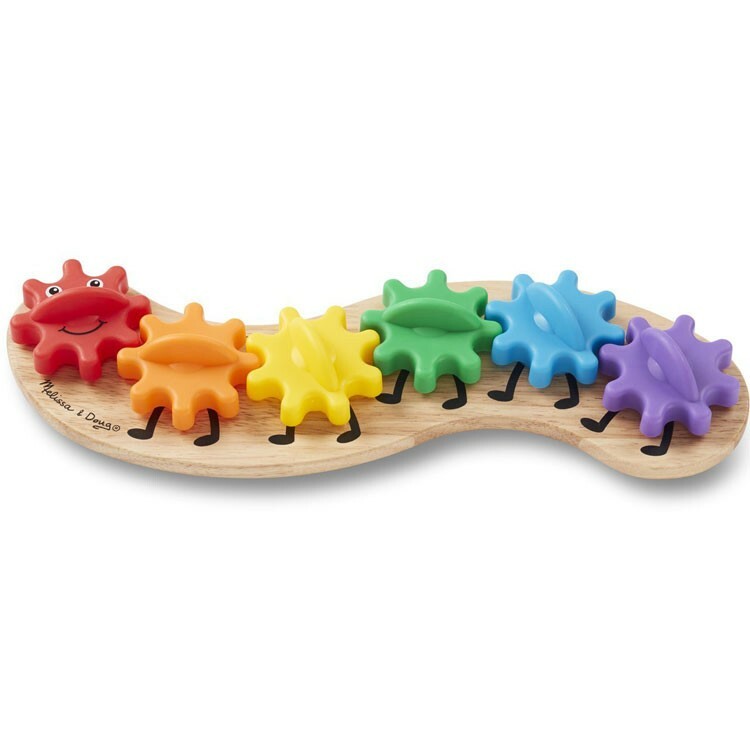 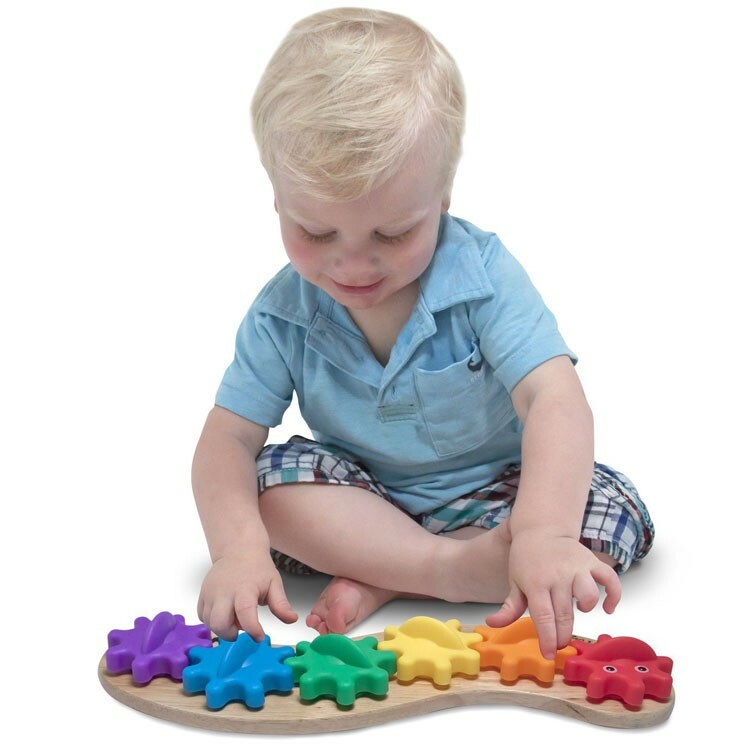 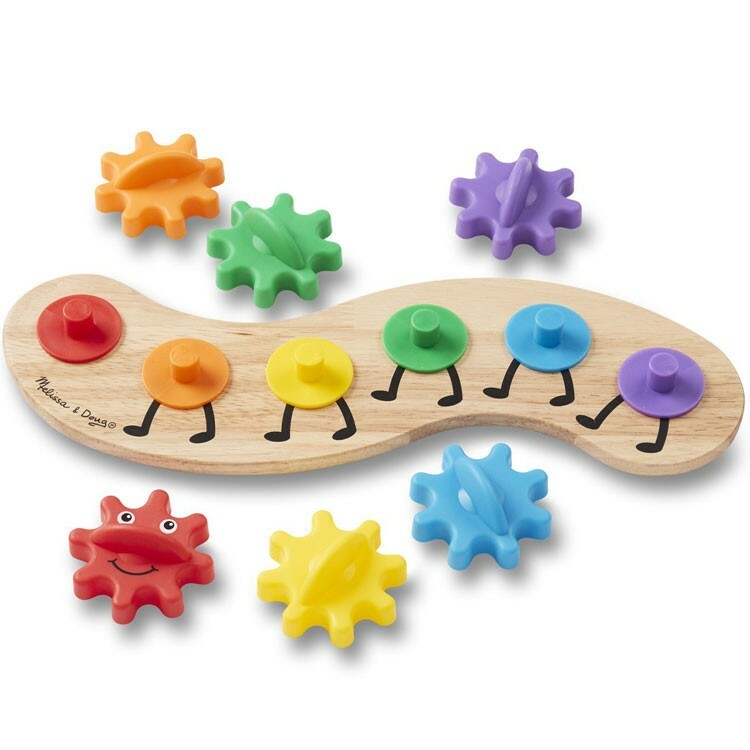 This caterpillar comes with 6 chunky gears pieces of different colors, that your toddler will learn to recognize and color coordinate with the color coded pegs on the board. 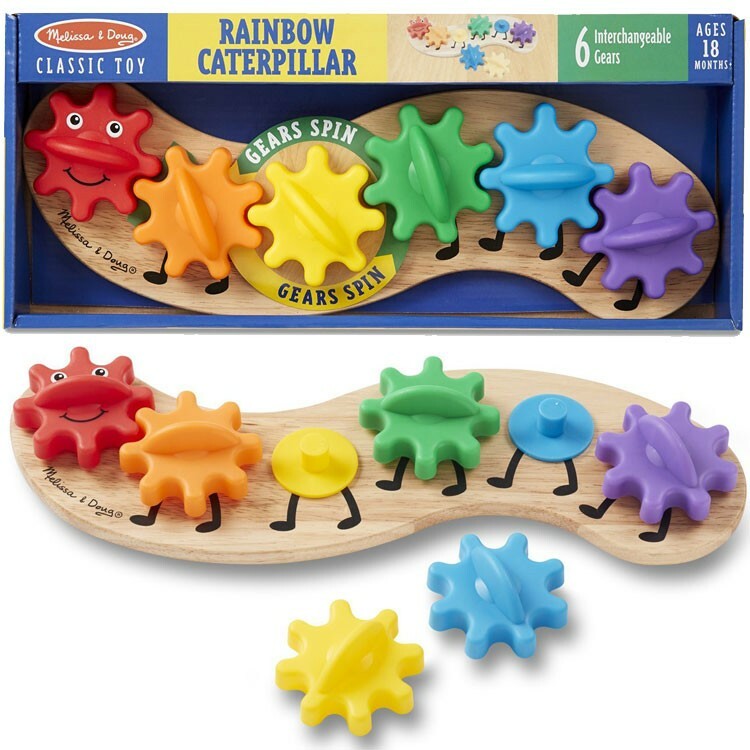 Put the colorful gears on the caterpillar wooden board to build an interlocking gears moving chain, making your caterpillar crawl along. Try to turn the gears fast or slowly, the toddler caterpillar gears toy is fun to watch! 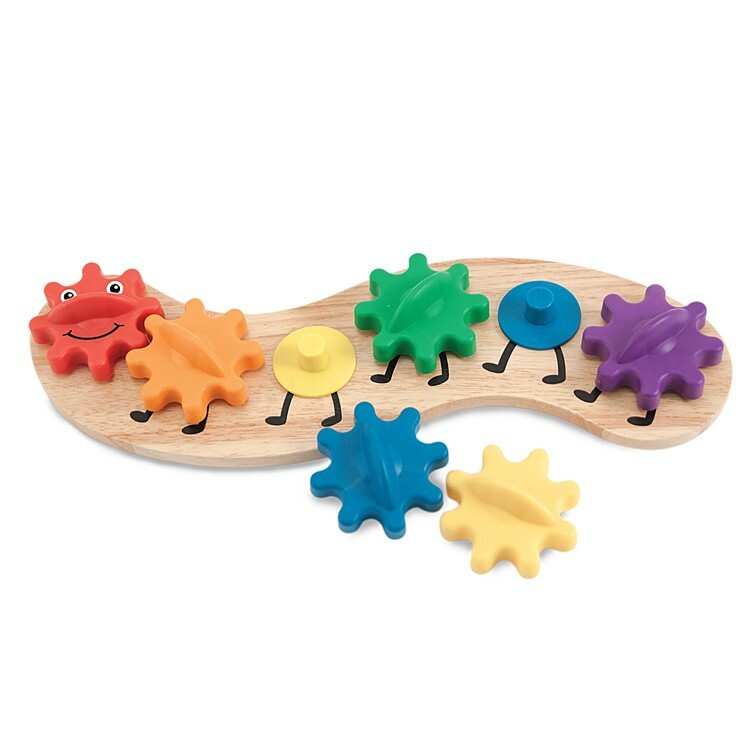 Remove the gears, rearrange the colors, rotate and repeat! 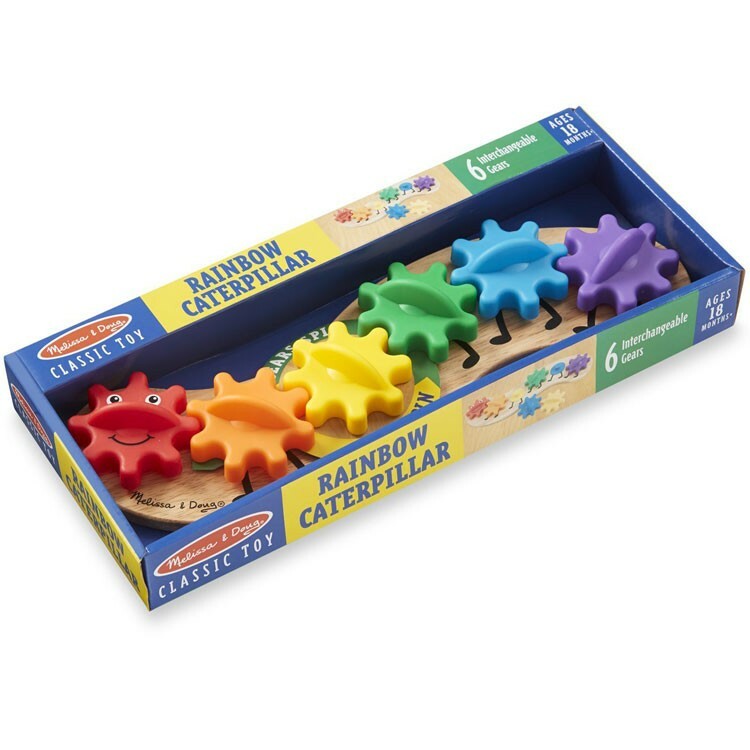 Toddlers will be fascinated by the colors and movement of this adorable toy crawling caterpillar from Educational Toys Planet. 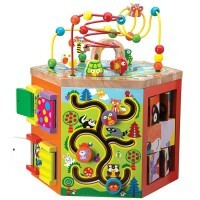 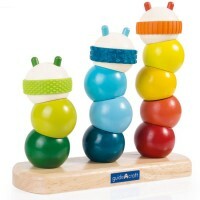 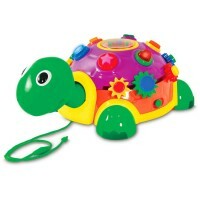 Dimensions of package 6" x 14" x 2"
Write your own review of Caterpillar Gear Toddler Activity Toy.